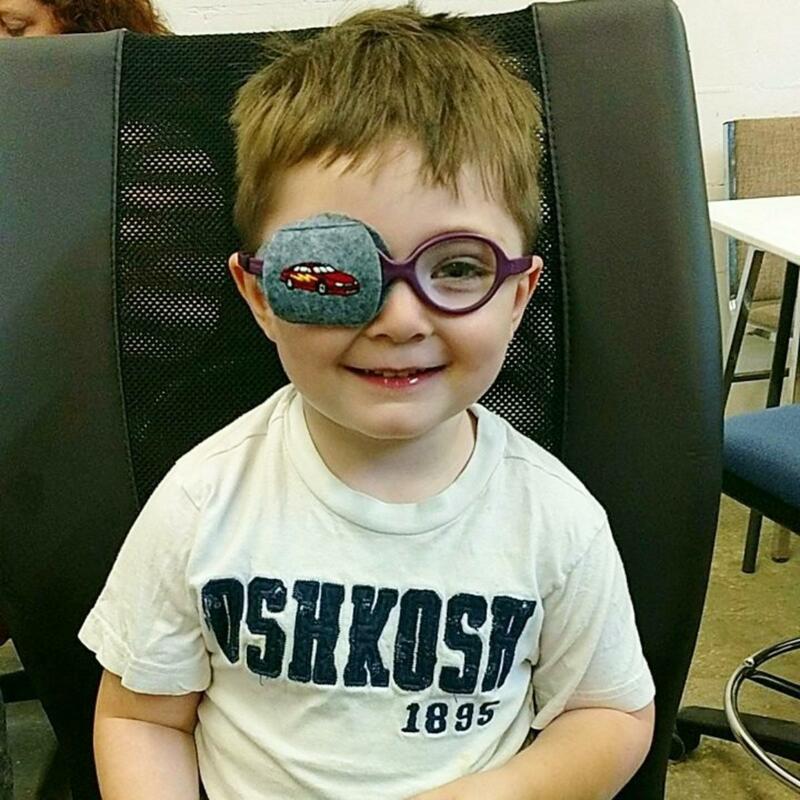 This guy is adorable in the Race Car Eyeglass Eye Patch. He makes us smile just looking at him. We love his glasses too! 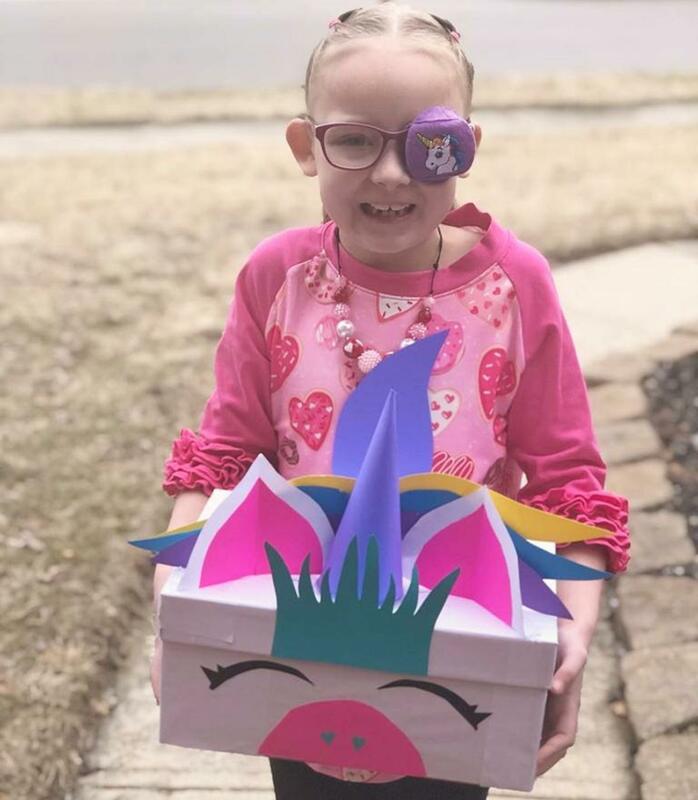 We absolutely LOVE the way Heather coordinated her Valentine mailbox with her Unicorn eye patch. She is very talented and so cute. We hope the box was stuffed with adoring messages from all her friends. 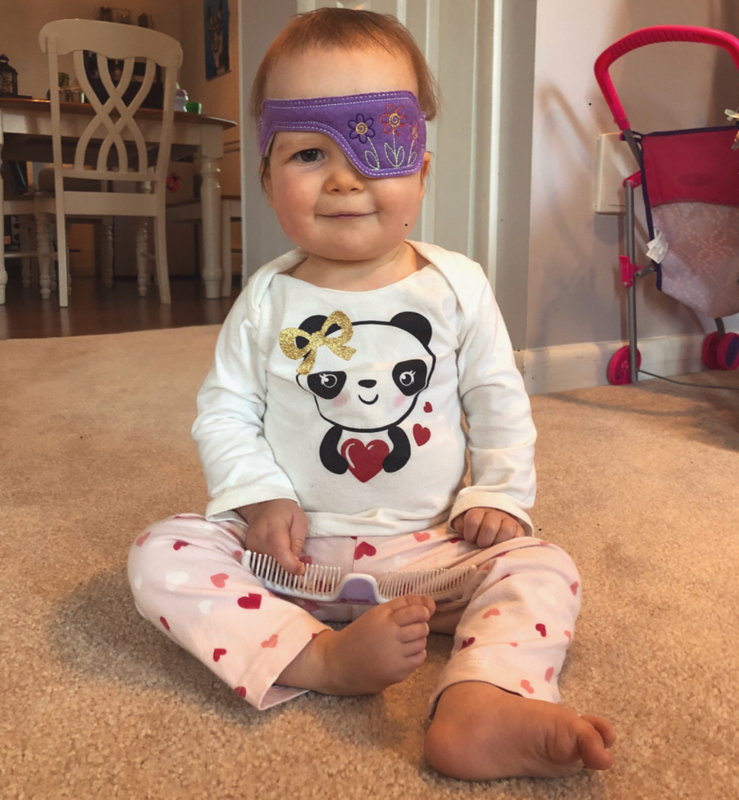 This sweetie couldn't be any cuter in her Baby Flower Poggle Eye Patch. We absolutely love this photo!